Sign up for Broadjam today to follow Caravan Gypsy Swing Ensemble, and be notified when they upload new stuff or update their news! 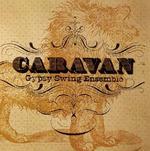 Caravan Gypsy Swing Ensemble is an instrumental group based out of Madison, Wisconsin. 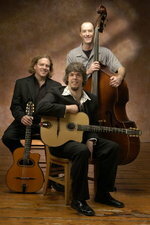 They are primarily influenced by the legendary Gypsy guitarist Django Reinhardt. The ensemble also pulls influences from jazz, swing, traditional Latin, Parisian waltzes, and other vintage-jazz sources. Expect a range of tunes from the "Hot Swing" repertoire, originals and standards done in uniquely arranged styles.